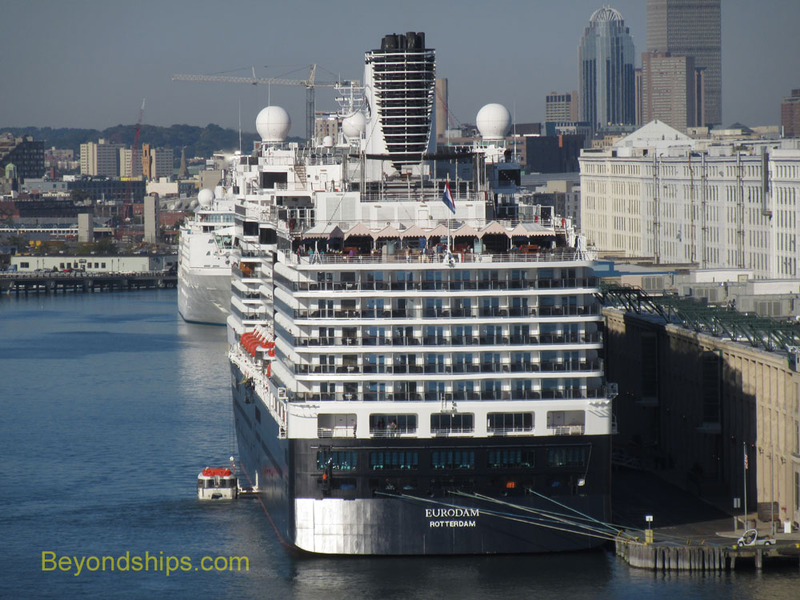 It is something of a tradition that when fall arrives in New England so does Eurodam. 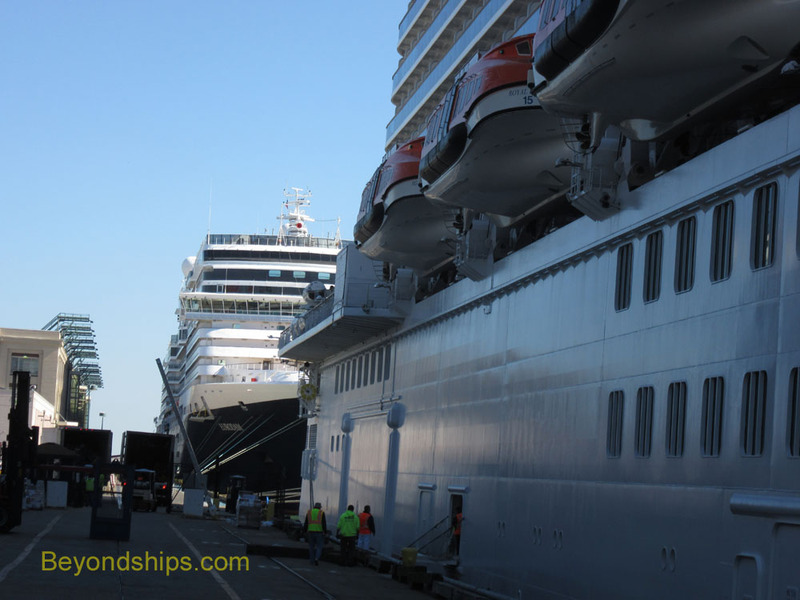 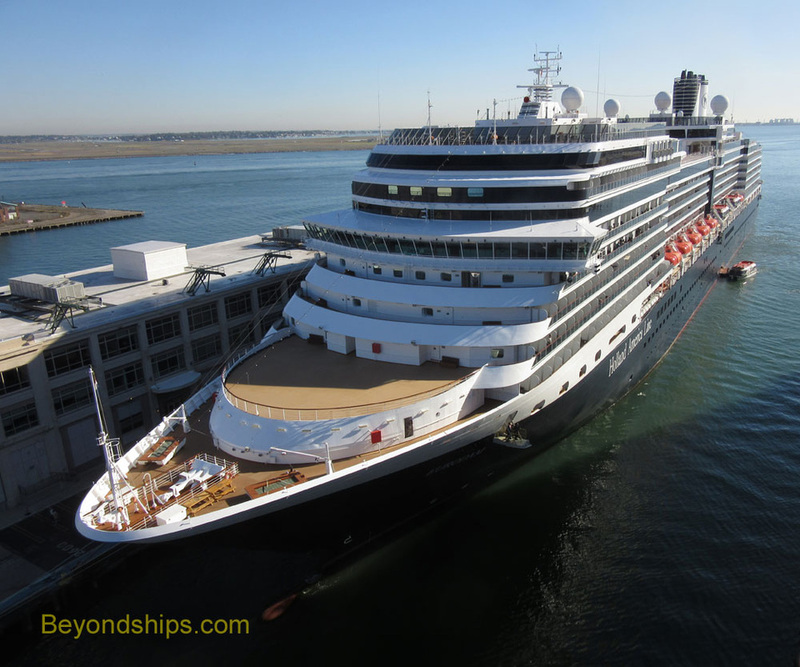 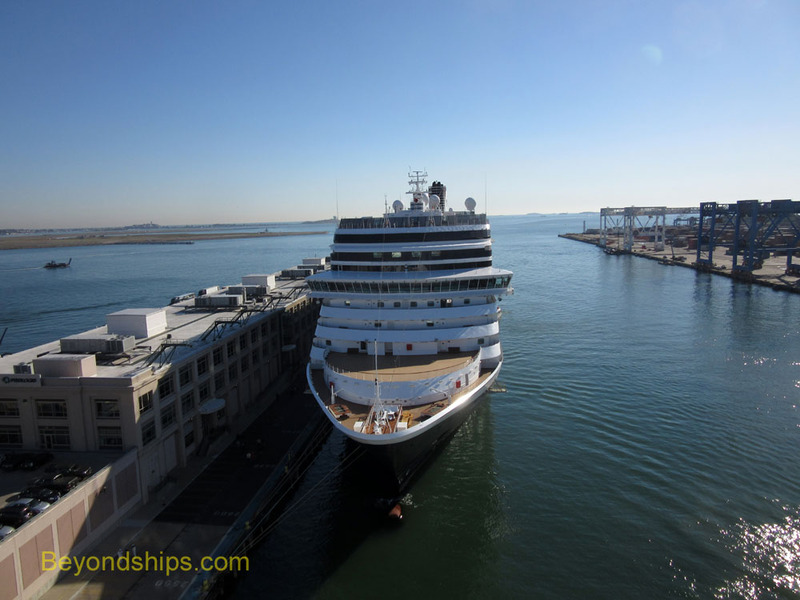 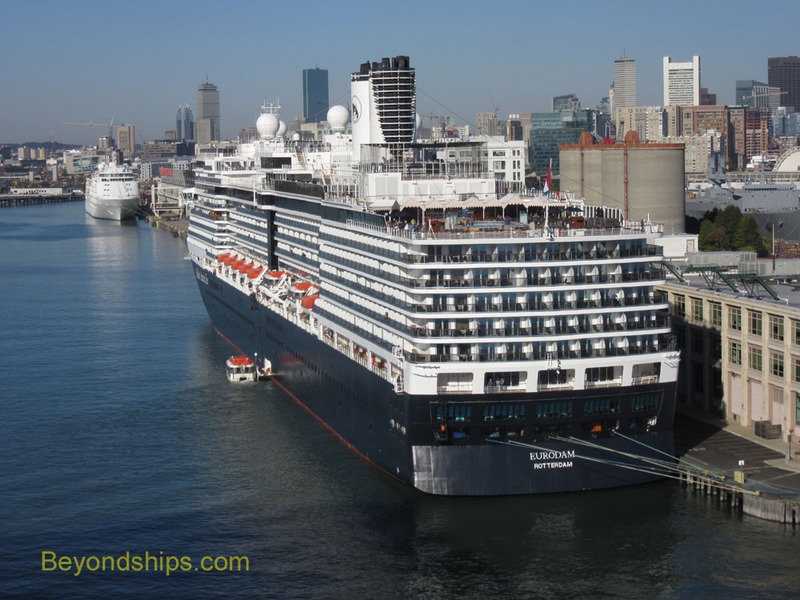 After completing her European summer season, Eurodam spends a brief period sailing the waters of New England and Canada on fall foliage cruises. 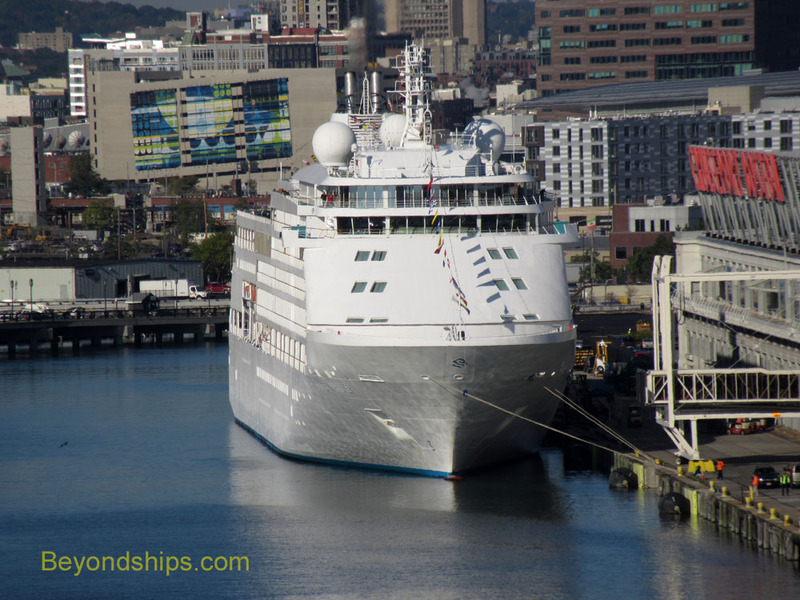 In this photo feature and the accompanying video, we see her in Boston docked at the Black Falcon Terminal on a beautiful October day. 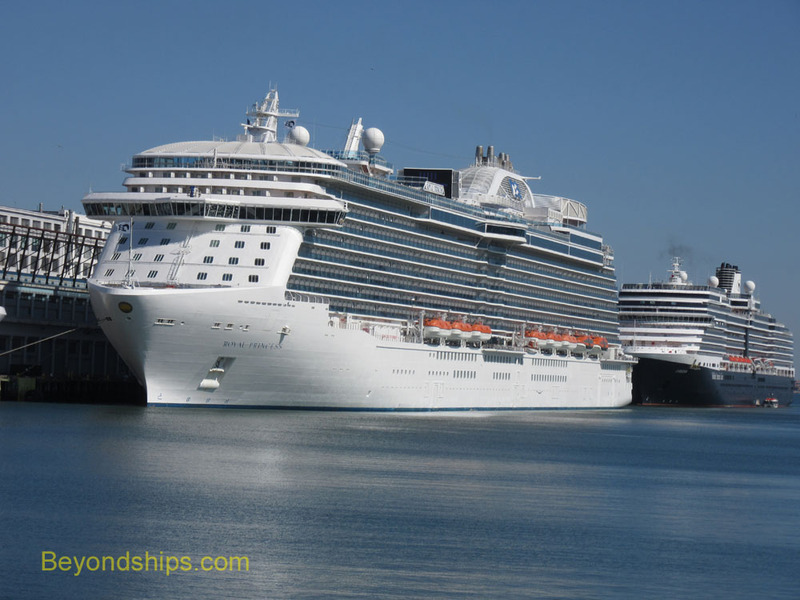 With Eurodam in port are Silver Seas' Silver Whisper (above left) and Princess Cruises' Royal Princess (above right).